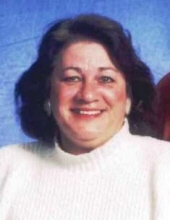 Linda A. Hughes, age 71, of Oquawka, Illinois, passed away at 11:40 P.M. on Tuesday, January 22, 2019 at OSF St. Mary Medical Center in Galesburg, Illinois. She was born on January 1, 1948 in Osceola, Arkansas, the daughter of C.D. and Dessie Irene (Griffen) Edlemon. Linda attended school in Arkansas and finished her education after moving to Illinois. On December 19, 1964, she married Robert Hughes in Montgomery, Illinois and he is surviving. Linda worked for Western Electric, A.T. & T., and Lucent Technology as a wireman. Linda retired in 1995 and she and Bob moved to Oquawka, Illinois to be closer to family. Linda loved gardening, making beautiful flower beds with arrangements of colorful rocks. She also enjoyed playing cards, watching movies on television, reading books, and bowling. Linda is survived by her husband Robert Hughes of Oquawka, IL, one daughter, Teresa (Danny) Backhaus of Chicago, IL, two sons, Tony Hughes of Oquawka, IL and Marc Hughes of Mt. Erie, IL, one sister, Wanda Casey of Oquawka, IL, three brothers, Gary (Janice) Edlemon of Mississippi, Ronnie (Shirley) Edlemon of Oquawka, IL, and Eddie (Shelly) Edlemon of Quincy, IL. Also surviving are grandchildren Stephanie, Brittanie, Ryan, Andrew, Zachary, Amanda, and ten great-grandchildren. Linda is preceded in death by her parents, two brothers Don and Larry, and two sisters Willie and Cathy. In honor of Linda's wishes, cremation is being accorded. A Celebration of Life and interment will be held at a later date in the Oquawka Cemetery. For more information, or to leave a condolence, please visit www.turnbullfuneralhomes.com. To send flowers or a remembrance gift to the family of Linda A. Hughes, please visit our Tribute Store. "Email Address" would like to share the life celebration of Linda A. Hughes. Click on the "link" to go to share a favorite memory or leave a condolence message for the family.